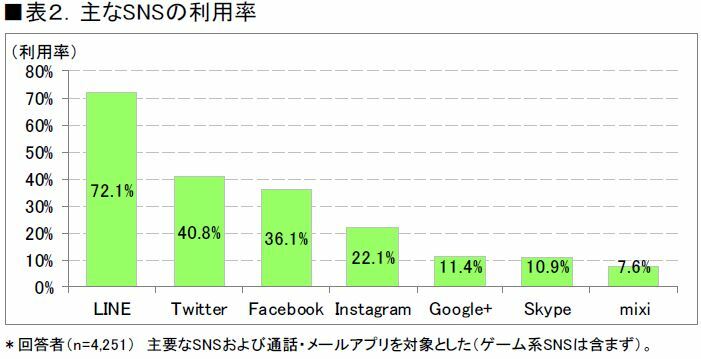 The survey on SNS user trend in FY2016, conducted by market research and consulting company ICT Research & Consulting, finds that active SNS users in Japan are expected to increase to 68.7 million by the end of 2016. As of the end of 2015, internet users in Japan reached 99.4 million, adding about 320,000 SNS users a month or 3.84 million a year. 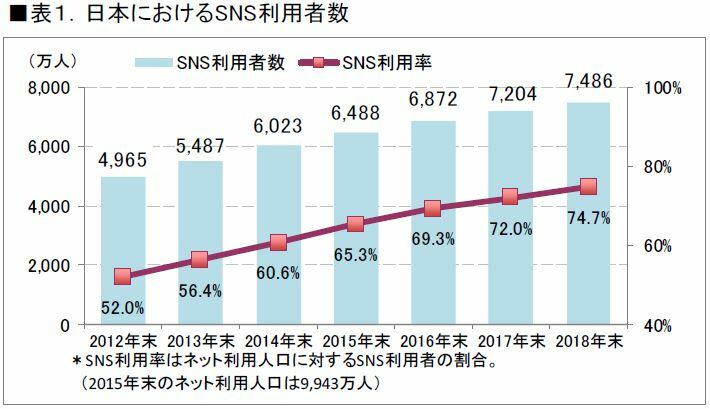 As 40’s and 50’s or older SNS users increase, the total is expected to reach 74.9 million by the end of 2018, which may account for 74.7% of all internet users in Japan. 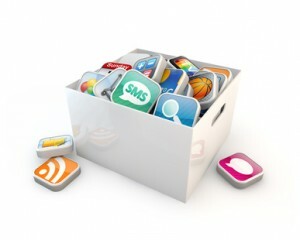 The survey also shows that about eighty percent of all SNS users use SNS or mail or phone apps as a communication tool. The most popular app was overwhelmingly LINE with the usage rate of 75.1%, followed by Twitter (40.8%), Facebook (36.1%) and Instagram (22.1%). The year-on-year growth of users was found in LINE and Instagram. The highest satisfaction rate was found in LINE (77.9 points), followed by Instagram (77.8 points) and Twitter (74.0%). As far as spending time is concerned, ‘increase’ or ‘relatively increase’ was answered by 52% of LINE users and 58% of Instagram users, while ‘not so change’ was answered by 44% of Facebook users and 42% of Twitter users. ICT analyzed that LINE users have been increasing in accordance with an increase in smart phone users, while Facebook users tend to prefer to PC. Also, ICT forecasts that it is highly possible for Instagram to increase both users and spending time.